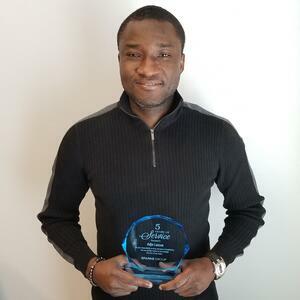 Please join us in congratulating Adjo Laison, an Accountant from our corporate back office team on celebrating five years with Sparks Group. "Managing people is an incredible experience but working with people who are outstanding in what they do is a real treat for a director or manager," said Chief Financial Officer Frank DeLapa. "Today I would like to recognize Adjo Laison who has demonstrated to me, and the company, that loyalty and hard work are not about the job or the company, but about who he is as an individual." Several of Adjo's colleagues shared some incredible quotes as part of this celebration.